We got our puppy Harley in the summer and just like kids they need stuff! Does your puppy (or doggie) have a cracked nose, chaffing, or damaged skin? 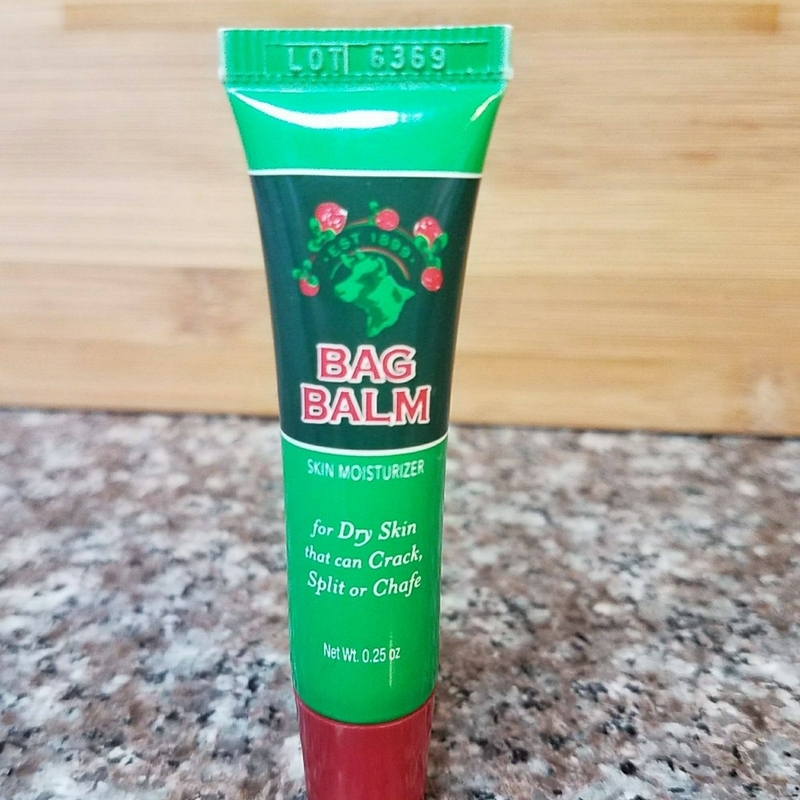 Bag Balm Pet Skin Moisturizer is what you need! Our puppy had a sore on his leg, we put this moisturizer on, and within a couple of days it was gone. Why…because he didn’t lick it, so it was able to heal! Keeping care of your pet’s grooming, paw, and nose care is essential. Soothe and protect your pet’s sensitive skin with Bag Balm Pet Skin Moisturizer. With just four simple ingredients that have remained unchanged since it was first developed in 1899, Bag Balm is an incredibly versatile, long-lasting moisturizer that’s perfect for treating chafed, cracked, damaged skin on pets of all shapes and sizes. The alcohol-free, no-sting formula is made with Petrolatum to moisturize and Lanolin to soothe and soften; it’s also uniquely formulated to discourage pets from licking it. No one knows when the first farmer tried Bag Balm on the paws of the family dog, but it didn’t take long for word to get around about how well it worked. Because fur can end up all over the house, an essential aspect of pet parents’ lives is grooming. Many grooming tools can help rectify this problem, but typically 30% of the hair they take off is live hair that’s been ripped out. 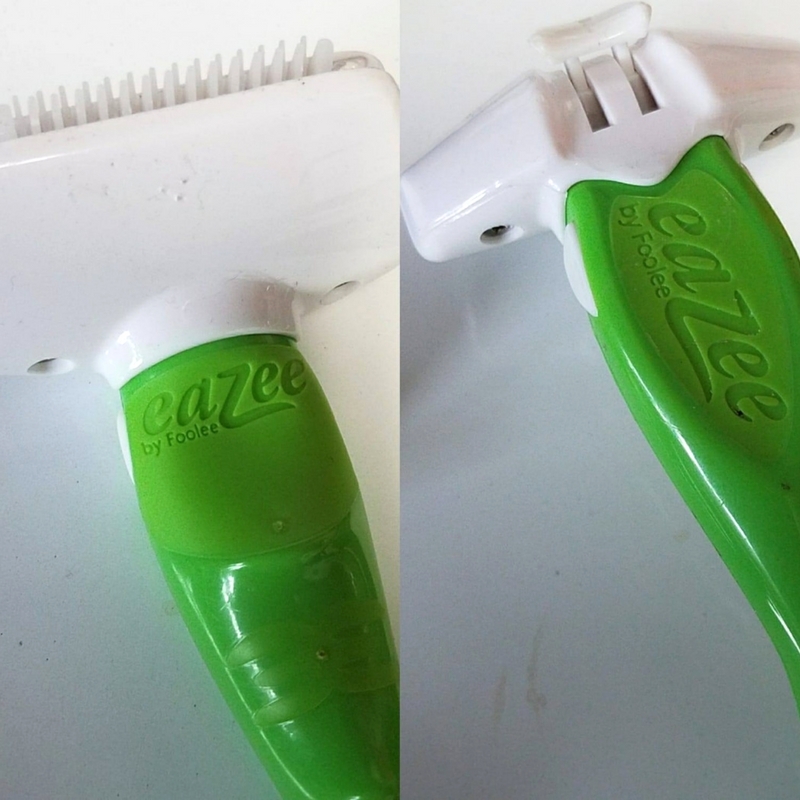 The Eazee by Foolee Deshedding Tool works to rid your pet of 100% of their dead hair without pulling out any live hair, making everyday grooming is an enjoyable experience. Our puppy loves to be combed now; he actually will fall asleep. I do put a towel down while I’m combing him out though. Let me tell you WE LOVE the SnuffleMutt Snuffle Mat! We bring it in the car a lot because it helped our puppy get used to car rides. We would store treats in the mat and he would have fun playing with it while we are on the road, the kids watch him. Also when he is getting hyper in the house we will do the same thing…put treats in the mat and watch him get them. It is so much fun to watch too…puppies are so cute when they play. I’m impressed this toy is HANDMADE! 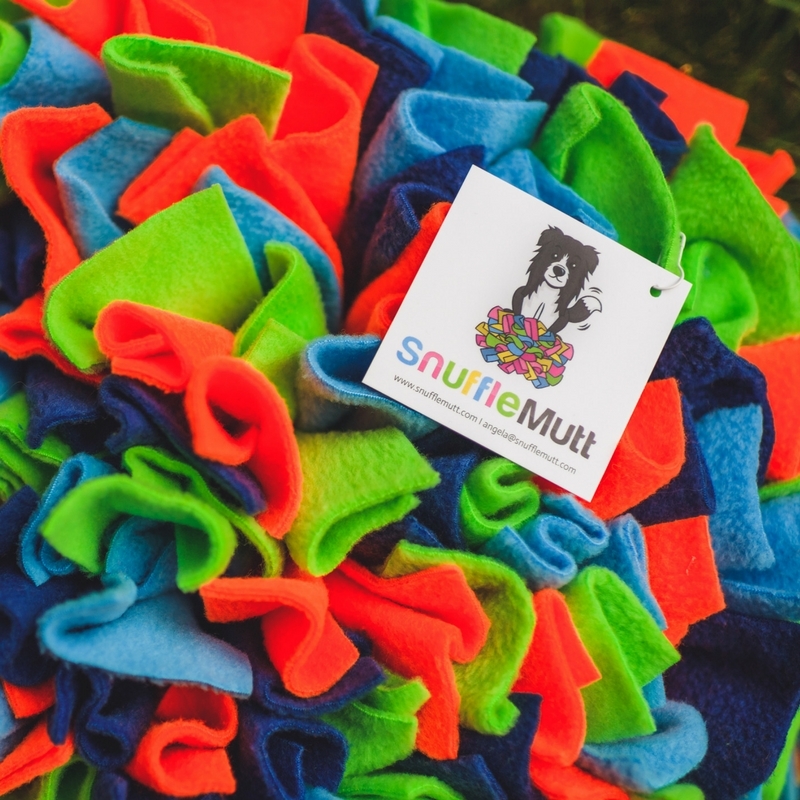 Scientifically proven to enhance your dog’s mental and physical well-being, SnuffleMutt snuffle mats are a great way to help your dog relieve boredom and expend energy; all while keeping them entertained and you sane! Just because you don’t have a “working” dog, doesn’t mean your dog doesn’t love to be busy! No matter your dog’s age, breed, or size, all dogs have a natural desire to engage in enriching mental and physical activities. Leave them to their own devices, and they’ll likely find self-chosen activities, potentially leading to destruction in your home. The SnuffleMutt snuffle mat interactive work-to-eat “toy”provides entertainment, enrichment, and mental stimulation for dogs as they search, sniff, and snuffle their way to find the hidden treats you place in advance. Disclaimer: As with any dog toy (food dispensing, interactive work-to-eat, or other), your dog should be supervised when he/she is enjoying the SnuffleMutt snuffle mat. Always monitor your dog’s interaction with the mat to ensure they are using it appropriately, and not eating or ingesting the fleece or rubber mat. Remove the snuffle mat and put away in a safe place when the treats are gone and/or the mat is not in use, or if any part becomes loose, detached, or damaged. For pet use only. Also 10% off for dog trainers, groomers, pet sitters, vets, etc. – need to show proof of business at the time of order. Oh my goodness, when we opened this box I think we were more excited than our puppy. We had a lot of fun trying out all the cool tools and games with our puppy! This One-Of-A-Kind Puppy Wellness Kit is something every puppy needs. You are starting off with their brain and body development. Box includes 8 different activities that will help your pup develop skills such as problem-solving, creative thinking, conflict resolution and impulse control. These games will also improve focus, body awareness, and build confidence! The kids had a lot of fun setting up the games for our puppy; I did have to remind them that he is a puppy so listening to their instructions wasn’t going to work, but they had patience. We think our puppy loved the Muffin Tin game the most. All the treats that came in the box were amazing as well- plus very healthy for our pup. All props included along with detailed written and video instructions, a package of the freeze-dried beef liver (great for scent work!) and 1 lb. All-Natural, artisan treats home-baked by Miss Monica. Grain-free treats available on request. These treats are home-baked so will need to be refrigerated upon arrival. Amazing BOX!!! I’m not into dressing up my puppy, but a cute scarf is perfect. 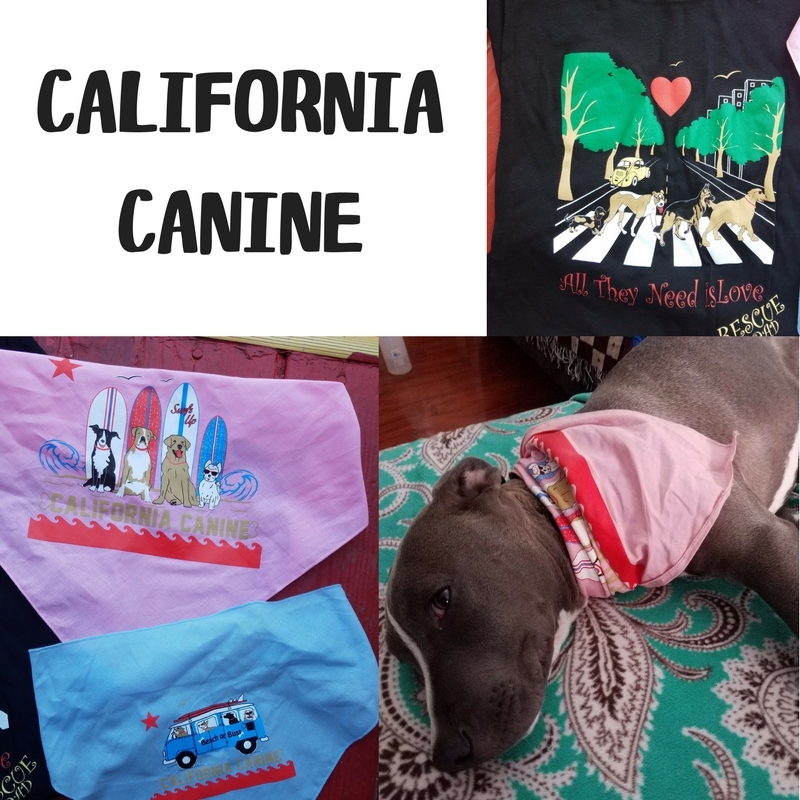 California Canine sent us a -shirt (for me) and these cool bandanas for our puppy to wear; we didn’t mind the pink one either! 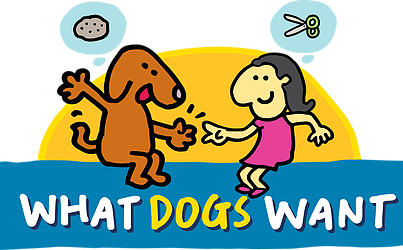 California Canine From men’s and women’s t-shirts and tanks to doggie tanks, collars, leashes and more, this original, imaginative clothing and accessories line is pawfect for the proud pup owner and their kids of the canine persuasion. The CLIC leash – Do you like to go for walks and maybe stop for coffee or a beer- now you can take your doh! This leash simply swing the leash handle around an armrest or a table leg and lock it into the carabiner and it is safely secured. No more lifting chairs or tying knots! The CLIC shoulder leash – For those running around doing their holiday shopping whilst walking their dogs. Simply throw the leash over the shoulder and you have both hands free to pay for presents or to carry them! The shoulder leash also comes with the convenient CLIC mechanism for easy tethering. Visit https://high5dogs.com for more information on these awesome products for you and your canine best friend. Treats GALORE-and healthy ones too! 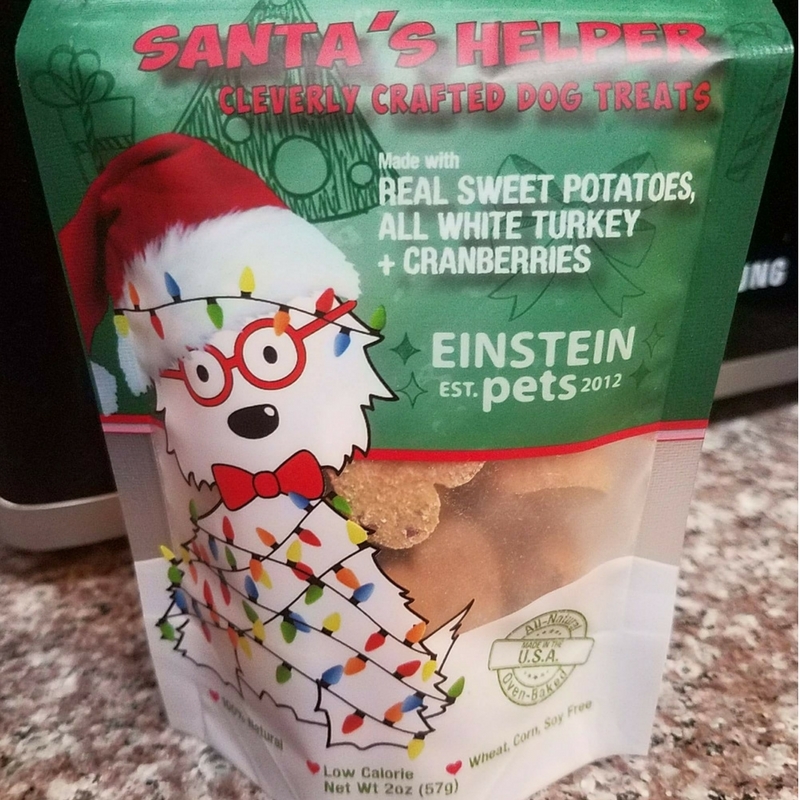 My dog loves Einstein treats. 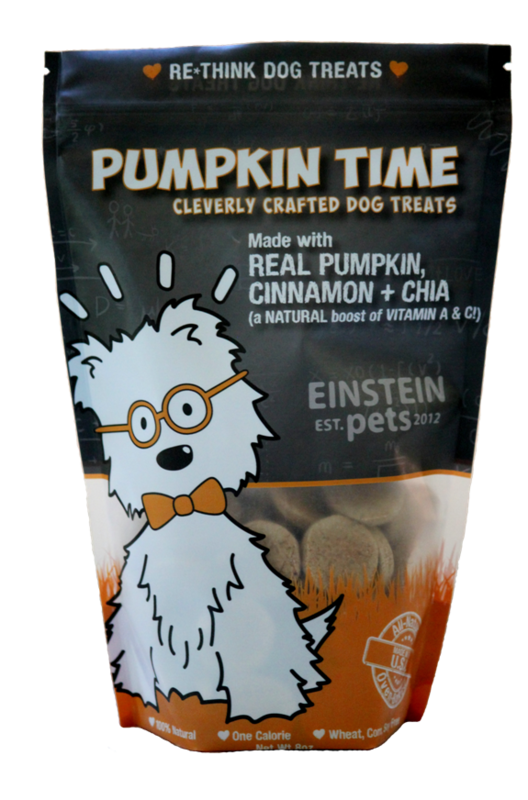 Pumpkin Time dog treats are made with many fall inspired ingredients like pumpkin, apple and cinnamon as well as oat flour, honey and Chia seed for a delicious, low-fat snack dogs love. Einstein Pets’ Black & Whites, bite-sized carob-coconut snacks ideal for dogs, make for an omega-rich and high-protein, low-fat alternative to conventional treats, perfect for training sessions, stuffable toys or sprinkling on top of food. These low-calorie bites contain only six pristine ingredients-oat flour, carob powder, coconut, and honey, vanilla and Chia seed.All of Einstein Pets’ yummy treats are made right here in the U.S.A. and are all-natural, heart-smart and low in calories. PERFECT for Stocking Stuffer this year! These snacks are perfect for puppies! They are the right size for our Harley. He likes Einstein Pet snacks so much he sits by where we have the snacks stored and bark at us until we get him a couple of pieces. 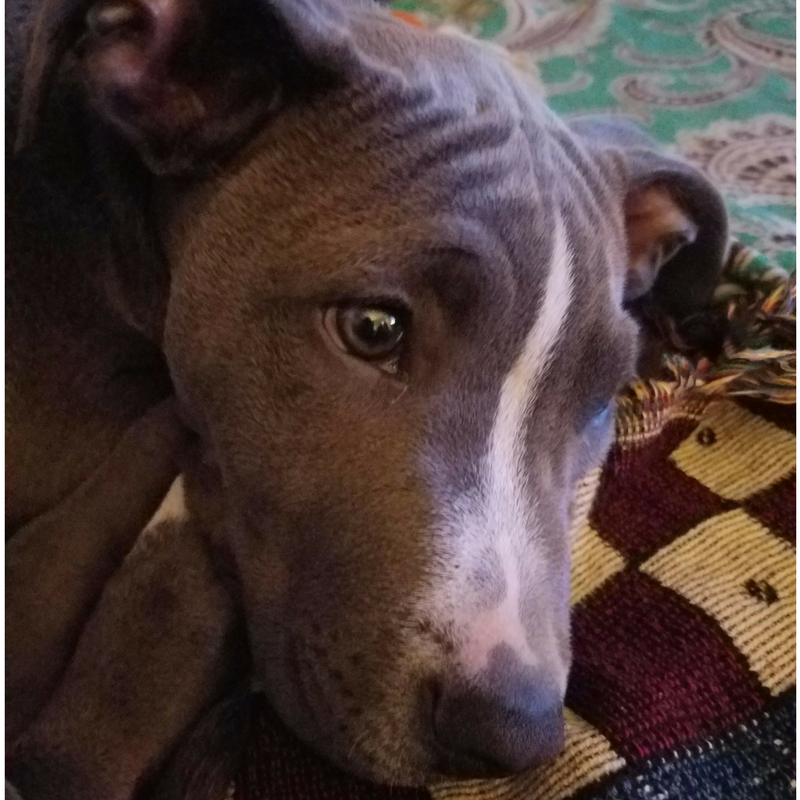 We used Einstein Pet treats to train our puppy to not to bite and a reward when he went outside to go potty.